Last night, the skies cleared and, even here in well-lit urban London, there was a glorious bright moon and lots of glimmering stars to be seen. It was an awesome portent of the solstice to come in the early hours of this morning. Solstice translates as 'sun standing still' but it's a misnomer because the solstice defines the moment that the earth shifts so that the North Pole starts to tilt back towards the sun and our days lengthen in the Northern Hemisphere. For our Antipodean friends, the opposite is true - sorry, guys, your days are now getting shorter. For any gardeners not bogged down in the more commercially oriented event of Christmas, there might be a frisson of excitement at the thought of our days slowly getting longer and lighter over the next few months. But I'm warned by my diary page for today ominously declaring: 'Winter Solstice. Winter begins.' Suddenly I have visions of Narnia's winter descending across the land. But without kindly Mr Tumnus. The solstice was officially at 4.48 this morning although there would have been very little to see as sunrise wasn't (allegedly) until 8.05 a.m. Although at Stonehenge in Wiltshire, it's the sunset that is more important in winter. Stonehenge, with standing stones reckoned to be over 5,000 years old, is a site sacred to neo-pagans who turn up to celebrate the solstice twice a year. Scientists believe that the site was originally a burial place for over 500 years before the stones were erected. Whatever the truth, there's a powerful atmosphere there for a fanciful child. I vividly recall walking among, and touching, the stones as a young child; my dad liked to take us kids off to see sites of cultural or historical interest (Dover Castle, Land's End, Magna Carta, the Round Table, etc). Maybe I was a geeky kid (no response needed, thanks) but those visits have stayed with me and the stones, especially, wow, they exerted a powerful magic over my imagination. At the time they weren't roped off. Anyone could park up on the road and just walk around; you can't do that these days. I don't think we gave a lot of thought to the possibility of the stones toppling, despite evidence that some of them already had. What is remarkable is that the solstice has been marked in many different cultures for hundreds of years. The winter solstice has always been an important event in the northern world; it was a day that marked the start of winter and a time for slaughtering cattle. In that way winter feed was saved and meat added to food stores over the coldest winter months. Our ancestors traditionally lit fires, told stories and generally hunkered down in the dark days of winter, cheered up by beer and wine brewed during the year that was then ready for drinking - a tradition carried on today by those (myself included) who prepare sloe gin or other festive treats from foraged, or home-grown, fruits. I'm hoping that the solstice isn't going to be a harbinger of imminently plummeting temperatures. Inevitably, they can't be far off but, for now, I'm revelling in milder conditions to get jobs done in the garden, usually just managing a couple of hours before darkness falls at 4 pm. We had lukewarm sunshine and temps of 60F on Sunday; if it had been February, we'd have been welcoming in an early spring. Today was greyer, wetter and a lot windier but, waiting for a pause between gusts of wind, I managed to photograph a few of the plants still flowering to show how mild it is. 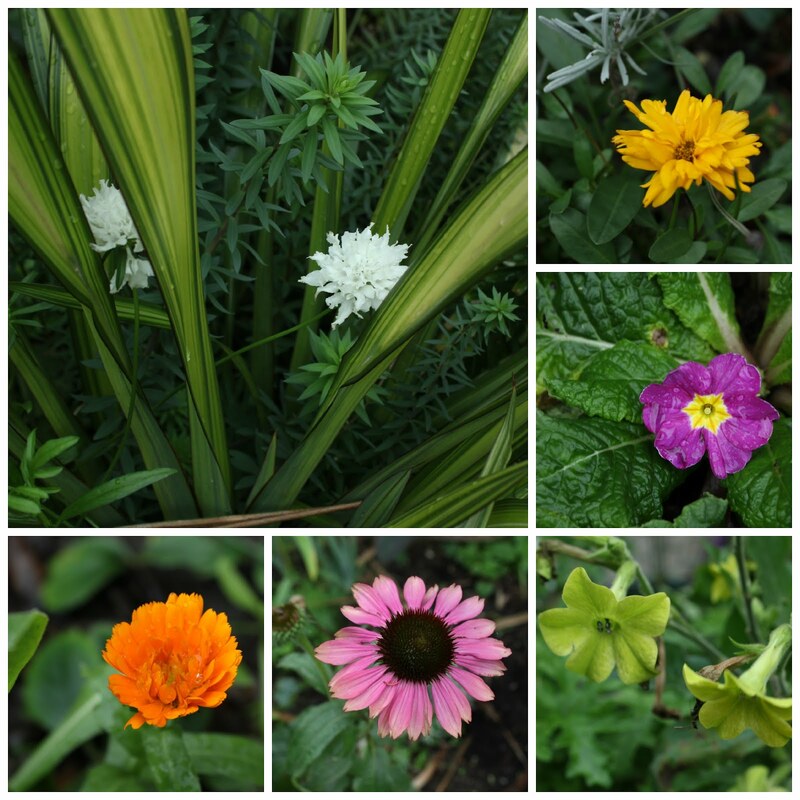 I have snowdrops in flower next to summer's bright red geraniums and calendula next to primulas. The echinacea is, admittedly, the last one for this year. It would be gratifying to be able to write about the garden in December with vibrant photos but, truth be told, there's not a lot going on. Oh sure, the rivers of curly kale are not about to dry up any time soon, Cavolo Nero is still the champion producer of leaves for supper after nearly nine months in the ground (I don't pick every day so it has a chance to catch up) although it's looking more like a palm tree every day, calabrese heads are plumping up and the purple sprouts are looking so good I'm almost loathe to pick them. So it's all about the brassicas at the moment. 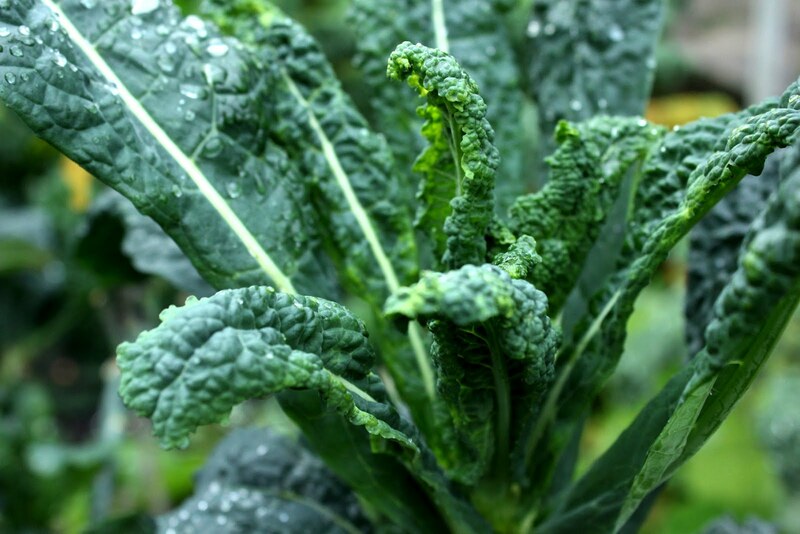 My winter chard is a total fail, the failure being that I didn't make time to sow any seeds, ditto spinach and overwintering broad beans. As the forecast harsh winter hasn't yet materialised, I may chance a few of those seeds under cloches; I seriously doubt it will come to much but what's to lose? I was gardening in the dark on Friday evening, as you do when stuff has kept you indoors for most of the day - and it was actually very pleasant. Comfortably mild with a stiff breeze and plenty of light from nearby flats to light my way - one real benefit of city gardening is that it's never pitch black. Taking my cue from plant biologist Professor Ken Thompson, I decided to cut down my raspberry canes now; the Autumn Bliss are definitely going and will be dug up next week as I need to clear the space for the veg patch redesign - my winter project. Most of my raised beds have rotted to the point of falling apart and I've been given four new scaffolding boards (whoop whoop!) and a pile of new old-style bricks to make some paths. There's gonna be a whole lot of digging going on. And, come spring time, lots of tulips and daffodils to start off my new cut flower patch area, if I ever get the bulbs planted … although I probably won't actually pick any of the spring flowers as I like everyone to enjoy the view. That's the plan, let's see if there's enough available time. 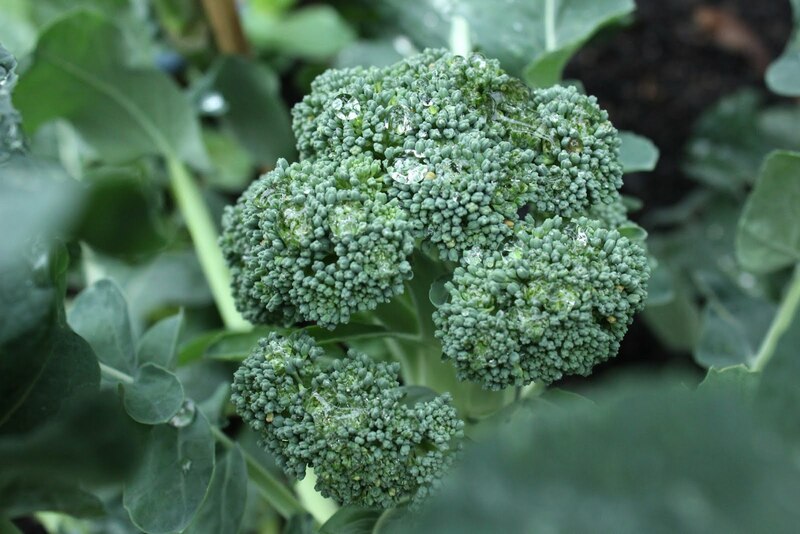 I might have just lied when I said that the garden was all brassicas. The globe artichoke that I grew from a seed (I love saying that) looks like it will need splitting. The plant started new growth in the autumn and I can see there are three plants there now. It was huge in the summer and had to be thwacked out of the way to get past it so I'm going to try and move it. I'm not sure how easy they are to lift and divide - has anyone successfully done that or do you leave yours to get monstrously huge? Do tell, please. I will, however, definitely be moving my Glaskins perpetual rhubarb (also grown from a seed, heheh); it's only just stopped producing huge leaves in the last few weeks and is growing in the middle of my planned flower patch so will only be tolerated in the future if it's contained in a corner or even another part of the garden - perhaps next to the Red Champagne rhubarb which I planted when the Glaskin's was still relatively manageable. Frosty temperatures in November brought an end to my cheery nasturtiums; a few of them struggled on but I've pulled out most of them now, they look so awful when wilted by frost. 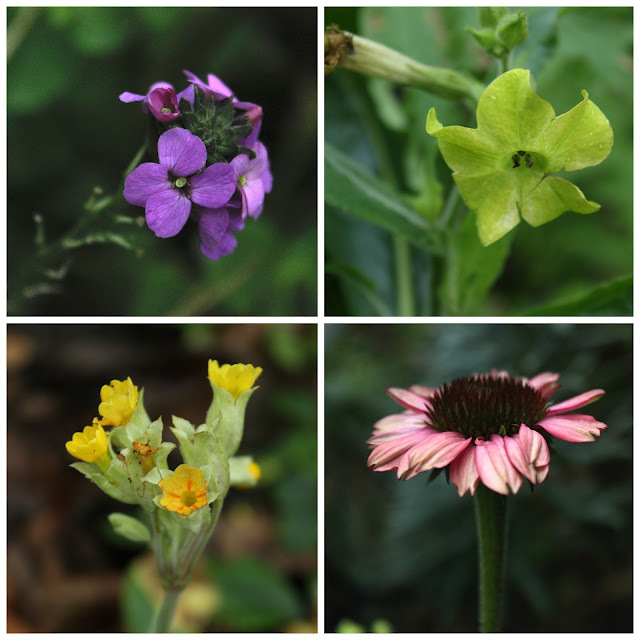 Thank goodness for scabious and nicotiana, both still flowering and making me smile along with one solitary echinacea, a few roses, heuchera's coral bells and, soon I hope, snowdrops. Winter is such a good time to make plans and this keeps me connected with nature and the garden. How's winter shaping up for you and your garden? I enjoy writing my blog and have always had a fancy to write for a living. 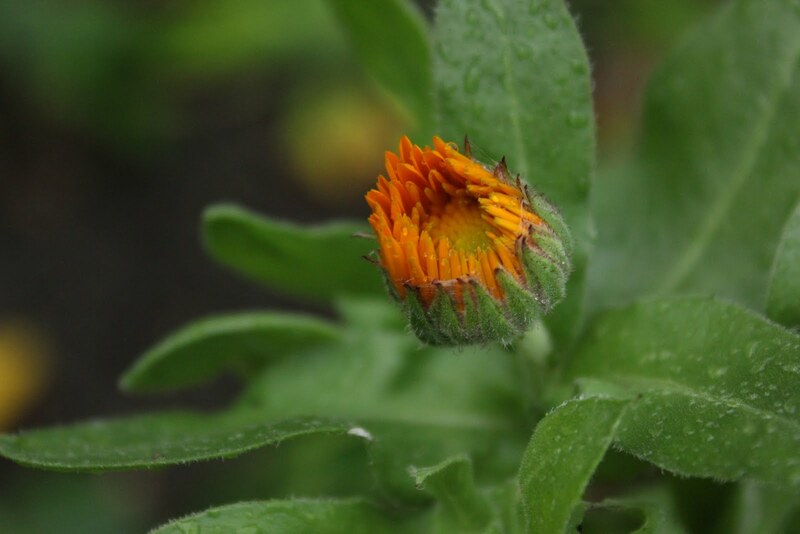 Once those two thoughts had percolated through the tangleweed of ideas that inhabit my brain, it was a short step to entering my blog into the Garden Media Guild awards a couple of months ago. The GMG, originally the Garden Writers' Guild, was set up in 1991, pre-social media, to promote links between professional writers and the horticultural industry. These days that's been extended to include photographers, broadcasters and all manner of hort media including … yep, bloggers. By entering this little blog to their prestigious awards, I hoped to plant a toe on the yellow brick road to a possible new career so, blow me down, was on a total high when a random wi-fi hotspot flooded my phone with Twitter alerts to let me know that I was a finalist in the Blog of the Year Award. Wow. What a rush. Even if I did find out two days after the event. 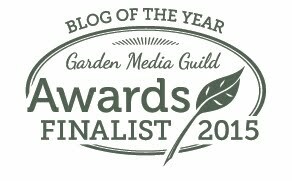 It's a bit surreal - I'm almost wondering if they scraped the barrel and found me to make up the finalist numbers - but at least I have a nice badge for the blog now. Massive congratulations to David Marsden, who won the category with his blog The Anxious Gardener, an excellent read with superb photos. Also congratulations and hello to my fellow finalist, Andrew O'Brien who writes the Growgardencare blog - and, if I may be so bold, to all the winners and finalists at this year's awards. The awards are open to any garden blogger so why not give it a go next year and show the professionals what we're made of! Back in the real world, I was on a mission last weekend to visit a wood recycling warehouse in the Oxfordshire countryside. (Hence sporadic wi-fi reception.) I'd chanced upon Community Wood Recycling, a social enterprise, when searching the internet for some wood, as we gardeners do. It's a brilliant scheme where wood that would otherwise end up in landfill (think: doors, pallets, floorboards, railway sleepers, old beams, you name it) is rescued, properly stored and sold on to the public or building trade at very reasonable prices. The project has carpenters on site who will trim or plane the boards for you, as well as training up apprentices to create employable skills. Big thumbs up to the entrepreneur/s who saw the potential and dreamt this one up. As luck would have it, I have family near to a couple of the projects in the Oxfordshire countryside so off I went in my tiny red car. I was after a bench/table to replace the chipped Ikea nonsense that I currently use for a desk and had seen that they had a lovely long lab bench recently rescued from Balliol College Oxford. Ooooh, nice; I like a bit of a back story. Refreshingly, the staff were welcoming, friendly and helpful; not only that, they were happy for me to wander around, sighing over ancient timbers, rough hewn planks and lovely old mantelpieces. There is literally every possible size, shape and range of different woods there - oak, ash, beech, pine. Of course stock changes as more comes in and existing stock is sold but I was particularly taken with a 300 year old beam from an old house that had been recently demolished. Stuff like that makes me wonder about the amount of useful materials that do end up in landfill, casually chucked away in favour of health poisoning laminates and MDF - and, worse, beautiful chunks of history lost forever. What I really wanted to see was the upstairs showroom where the on-site carpenters had used some of the wood for making chests, crates and shelving for sale. There were toys, bee hotels, chopping boards and more - hold me back, I wanted it all. In the end, I drove away with the Balliol bench that I'd come for (it was the exact length of the interior of my car with the passenger seat flopped forward) plus two very long wooden seed trays costing £1 each and some huge ash plant labels made from local wood. All in all rather a good day out. I just wish that I'd had a chance to stop the car and photograph the working windmill that I came across while driving through Oxfordshire - that was a rare sight for a urban lass like me. The Community Wood Recycling projects are an excellent resource for a gardener needing wood for sheds, beds, planters, compost bins, seed trays, etc, which is why I wanted to write about it. If there's one near you, please support this venture rather than just heading for one of the big corporates. Link to find out more here.